The fly fishing-themed paintings of Brad McMinn and Southern Water Designs can be described as nothing short of breathtaking. Depicting a range of species from bull trout and browns to tarpon and permit, McGinn’s paintings are not only beautiful, but they demand the attention that the actual fish themselves do. 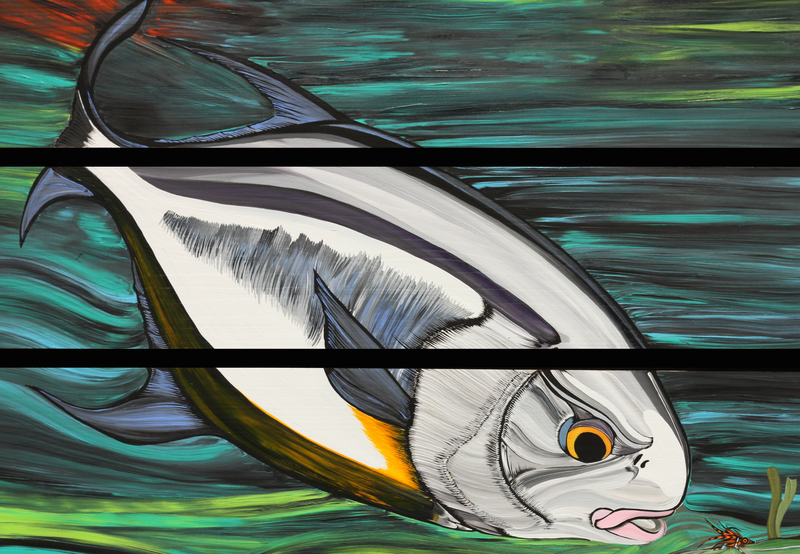 Brad McMinn’s artwork delivers the detail demanded by picky anglers who shun imperfections in renderings of fish from non-angler artists. Further, McGinn’s paintings encourage the non-art-aficionado to appreciate the artisitic detail, from color contrasts to brush strokes. To check out more from Brad McMinn and Southern Water Designs, please click here.